With Summer fast approaching homeowners are quickly putting together the list of things that they want to do to their homes! Many are hoping to gain project inspiration from the upcoming Home And Garden Show 2019. These projects range from small indoor changes to large outdoor decks and landscape additions. Décor and interior design trends are all over the place on the internet and the cover of magazines. If you are looking for some quick ideas, you will be inundated in no time. On the other hand, landscape design trends are often more difficult to come by. Considering that the exterior of your home is the first thing that people see you would think this would not be the case. 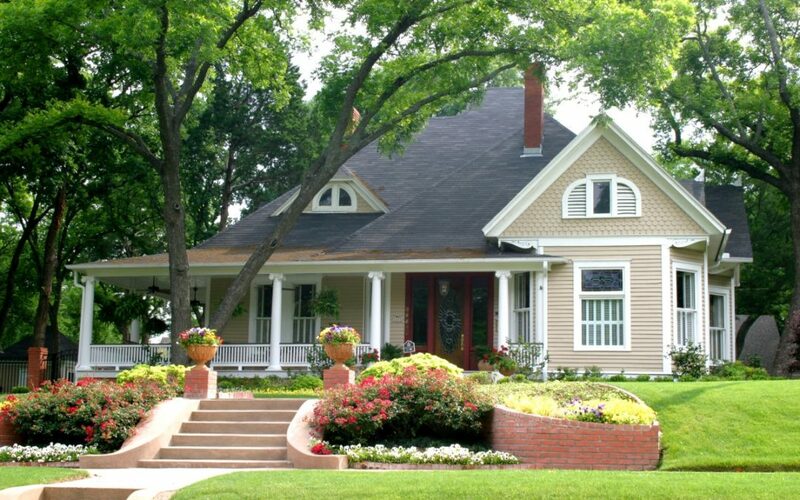 Visitors and passers-by quickly get a poor impression of your home if it has poor curb appeal. The 2019 Home and Garden Show was chalk full of ideas for indoors and outdoors. Homeowners were able to browse everything from high end items to budget friendly projects. Finding ways to find multiple uses for some of the most ordinary landscape pieces is a new and upcoming trend. What exactly does this mean? For instance, many yards because of their topographical configuration need retaining walls. Although necessary they are not always visually appealing. Landscapers are proposing that you add seating on top them which not only looks great but creates ambiance seating out in the yard. Another multi-purpose idea is building a vertical garden for a privacy wall instead of a typical lattice wall or wood panel. These vertical gardens not only soften the look but add color and freshness to the area. Believe it or not pink is a trending color this year! This is true for the indoors and the outdoors. Designers are urging you to take a minute and see what this is all about before writing it off. It appears that all shades of pink will be sprouting up in flower beds, flagstone patios, granite countertops, and home décor (fabrics, paints, and artwork). With the rage of industrial décor metal is making a comeback. Homeowners are using metal for door and cabinet hardware, shelving, exposed piping and beams, and outside as landscape décor in gardens and flower beds. All types of metal really stand out against organic surroundings. It appears that homeowners are throwing out yard work but not the beauty. Spawning from the days of xeriscape landscapers are offering landscaping ideas using sustainable low-maintenance plants that actually have color. Far from cactus and other drought resistant plants these new gardens are full of lush vibrant plants and flowers that require no care. Everyone look up! The ceiling of any room is a blank canvas waiting to be used. Everyone is always about the walls when it comes to decorating. In 2019 designers are going to be bringing attention to the ceiling. This includes everything from painting, wall papering, and adding decorative elements like metal, beams, and other artwork. These are just a few of the awe-inspiring ideas that came out of the 2019 Home and Garden Show. There are so many more that are worth checking out. It looks like this year will challenge designers and homeowners alike!